Keurig's K525 vs. K575: Which 2019 Model Brews Better Coffee? As a coffee fan and aspiring home barista, you’ll have heard of Keurig as a maker of top-quality coffee machines. 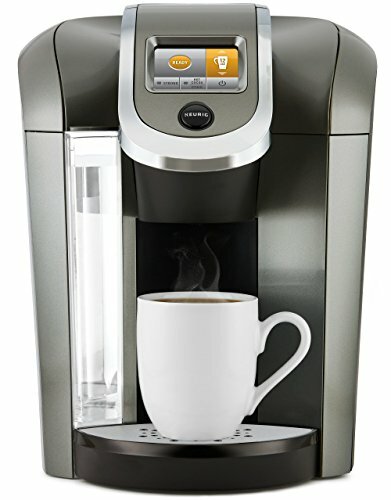 Keurig makes a very comprehensive range of coffee making machines, many of which appear to be very similar at first glance. If you’re finding yourself torn between buying the Keurig K525 and the K575, worry not. We’ve got your back again with this comprehensive overview and comparison of these two very similar units. Read on to find out which would suit you best. Let’s begin at the beginning by taking a look at both the machines’ specifications and general design features. Size-wise there’s absolutely no difference. You may think at first glance that both units look the same, and you’d be right; they are. 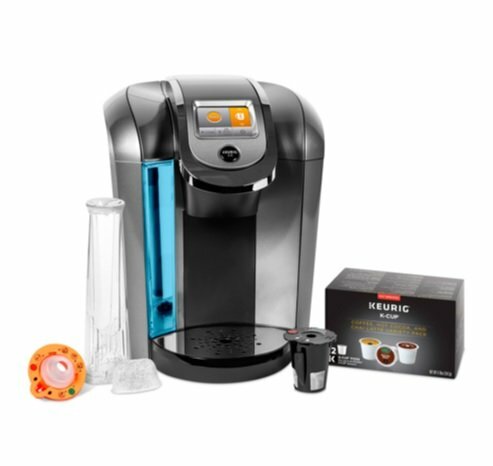 Both the Keurig K525 and K575 measure 10.2-inches wide, by 13.4-inches deep, by 13.6-inches high. With this in mind, you won’t be surprised to learn that both machines weigh the same too. There’s no difference in looks either. Both machines enjoy the same sleek, contemporary look, proudly sporting the Keurig logo engraved on top. Both coffee-making machines are neat and compact and will enhance most countertops without taking up too much space. Their light weight also makes both models easily transportable, should the need arise. The K575 coffee making machine has reportedly been upgraded, although it shares the same internal components as the K525. Both machines enjoy the same newly introduced features of nightlight settings and customizable wallpaper. So, if you were in any doubt, rest assured, whichever machine you buy, you will be getting the same specs and aesthetics. Both the K525 and the K575 are single serve units that are designed to brew pod coffee in K-Carafes, basic K-Cups, and K-Mugs. Both machines offer sufficient scope to produce the exact brew size to suit you or your family’s needs. Note that you don’t get a Keurig K-Carafe with either of these coffee making machines. That’s not necessarily a problem, as they are pretty affordable to buy separately. If you only drink one cup of Java at a time, you won’t need a carafe. However, if you need several brews to get you up and at ‘em in the mornings, have a coffee-drinking family, or simply enjoy entertaining, a carafe will allow you to brew up to four cups at a time. Keurig makes a very good range of coffee pods that are compatible with all their machines. That’s great if you love Keurig’s coffee. And most coffeeholics do, as the brew that the pods produce is undoubtedly of good quality and is packed full of flavor. Also, you can choose to brew coffee from your favorite grind if you fancy a change from the Keurig menu. However, to do this, you’ll need to buy a reusable filter separately. Fancy a Change of Flavor? …not so fast. If you fancy trying a different coffee brand pod in your machine, think again. The cunning monkeys at Keurig have configured all their coffee making machines to only accept their own pods. Foreign pods will not be tolerated and will be rejected immediately. Ouch. However, ingenious coffee fans have found a way to short-circuit Keurig’s monopolizing efforts. Just cut out the foil from a Keurig pod and tape it onto the pod of your choice. The doppelganger will then be accepted by the hapless Keurig machine with no problem. Keurig machines can also be very useful if your kettle malfunctions. Both of these models heat up very quickly, so you can have hot water without the need to boil a kettle. The K525 and K575 are both simple to use. Both machines have an 80-ounce water reservoir – the largest capacity tank the industry has to offer. 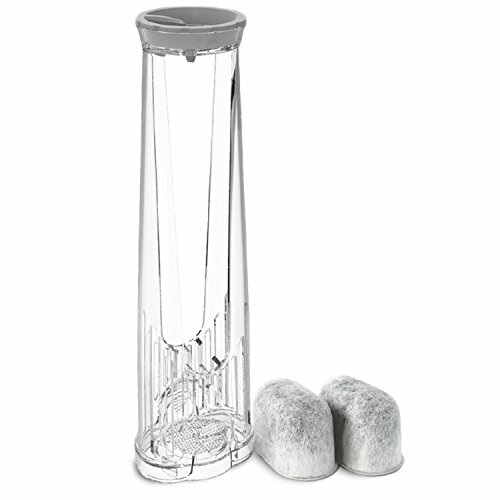 That will enable you to fill around 10 cups back-to-back, without the need to refill. The reservoirs of both machines are removable, so you won’t have to carry the whole unit over to your faucet every time you need to fill the tank. Also, cleaning is much easier with the reservoir separated from the machine. A full reservoir will take only one minute to heat up, pretty impressive for such a large capacity tank. And if you change your mind and decide to use the water for something else, the units’ brewers will allow you to pour out just the hot water. Both the K525 and the K575 feature a bright and vibrant 2.8-inch full color, quick-touch display. Even in poor lighting, the screen is easily visible and very clear, making operation almost fool-proof. Both units have a fully programmable digital clock. The clock allows you to monitor your coffee’s brewing time so that you can control the depth of flavor of the finished cup of Joe. Even better, you can set your machine to make you a steaming cup of coffee for whatever time you want it. Imagine waking up to the delicious smell of freshly brewing coffee, before you’ve even thrown off the duvet; now, you can enjoy an extra 10 minutes in bed. This is especially nice for those of us who don’t have time for more involved brewing methods in the morning. For ease of cleaning, you can remove the drip trays of both these machines. That means you can customize your unit to fit coffee mugs of under 7-inches in height for a slightly larger brew. By this time, you’re no doubt wondering if there is any difference at all between the Keurig K525 and K575. We were too, and after some digging, we discovered there is one subtle difference that might prove to be a deal-breaker for you if you live in a hard-water area. The K575 comes complete with a water filter starter kit. And a slightly higher price tag. So, as you see, in essence, there’s no physical difference at all between the Keurig K525 and the K575. So, what sets the K525 and the K575 apart? A water filter starter kit and the price… that’s all. The K525 is slightly cheaper than the K575 with the filter kit. So, in effect, you’re paying a little extra for the water filter kit, which could be purchased separately a little down the line if you wanted to opt for the cheaper K525 and save a few bucks initially. But keep in mind, the longer you put off the purchase the more at-risk your machine will be if you live in a hard-water area. 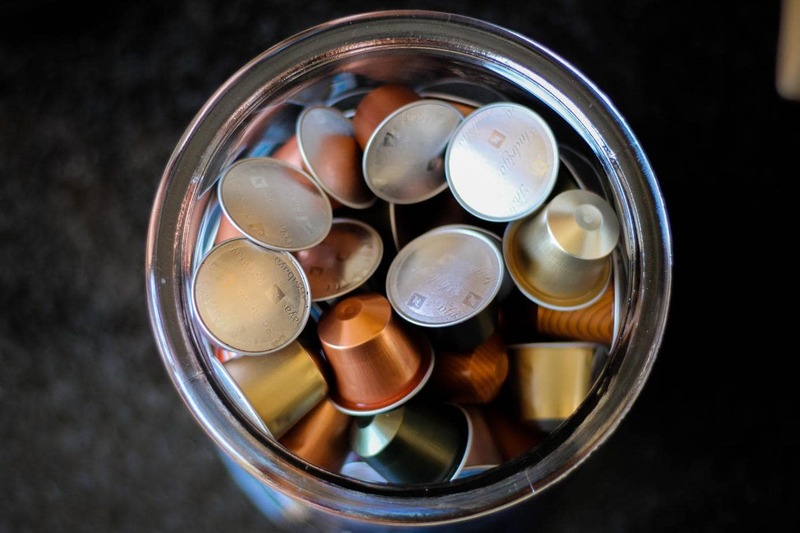 So you bit the bullet and got a Keurig for the sake of convenience, now what? You've probably heard of the dreaded prime error and should be looking to avoid them. So we've put Keurig's de-scaling solution vs vinegar to show you which maintenance solution is the best for the long-term reliability of your machine. Water temperature matters when it comes to brewing great coffee. Here's a video about the ideal water temperature for brewing coffee. Check out our list of the best hot water kettles for brewing coffee so you can brew the best cup of coffee each and every time. Just rinsing your coffee maker isn't good enough to stave off bacteria and buildup. Learn how to clean a coffee maker and keep your coffee tasting great. Check out our favorite digital kitchen scales perfect for both your coffee and water so you can start brewing the perfect cup of coffee today.